Lay down the law with this charcoal grey hoodie featuring the Azorius guild symbol! 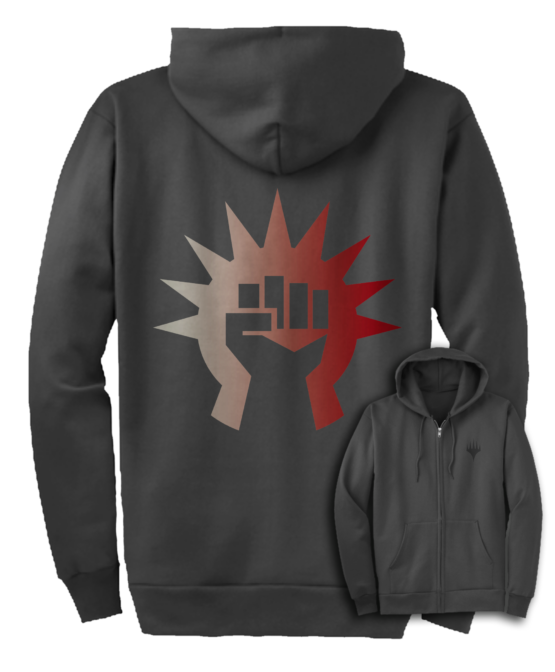 You'll be ready to face the day in this charcoal grey hoodie featuring the Boros guild symbol! 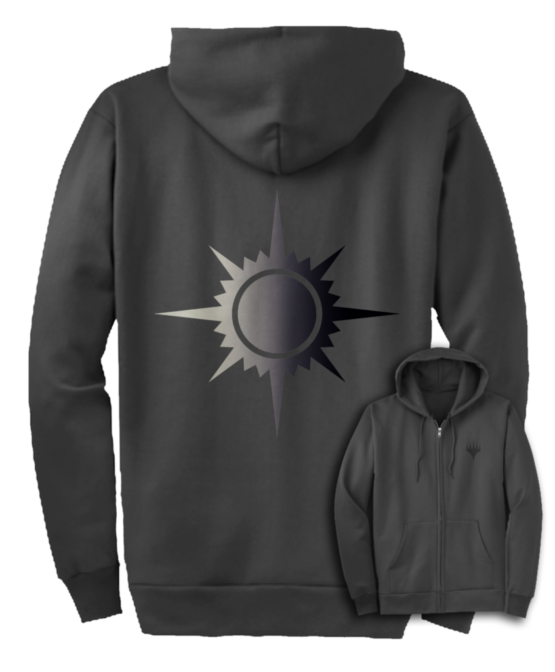 Keep your plans secret when you wear this charcoal grey hoodie featuring the Dimir guild symbol! This charcoal grey hoodie featuring the Golgari guild symbol will really grow on you! 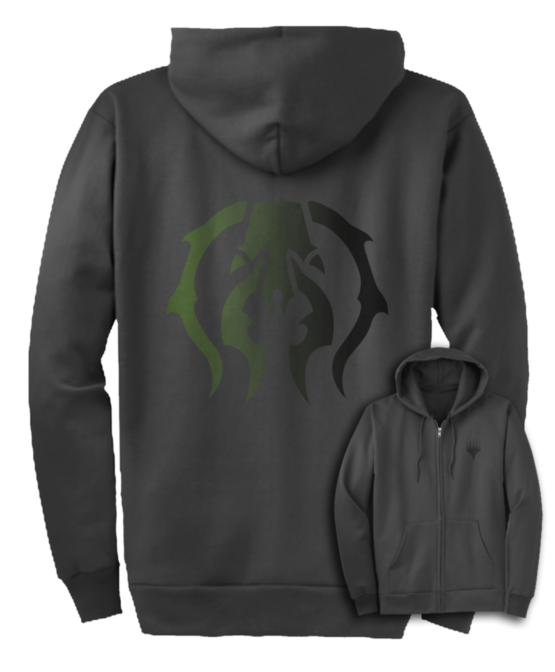 Go wild in this charcoal grey hoodie featuring the Gruul guild symbol!l! BOOM goes the dynamite, and so does this charcoal grey hoodie featuring the Izzet guild symbol! Give others the benefit of your guidance in this charcoal grey heather hoodie featuring the Orzhov guild symbol! S0w a little chaos in this charcoal grey heather hoodie featuring the Rakdos guild symbol! 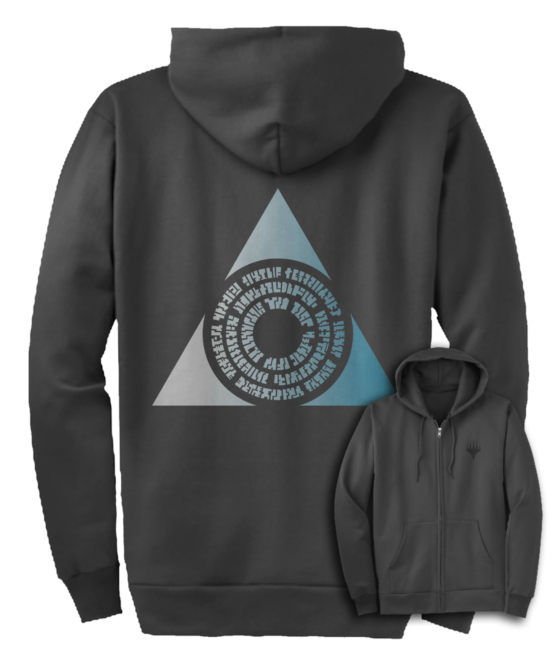 Show that you're a team player in this charcoal grey hoodie featuring the Selesnya guild symbol!